United States > Kansas > Topeka > Econo Lodge Topeka Blvd. 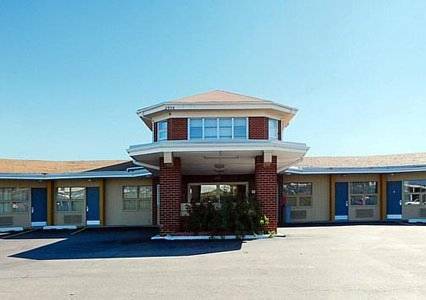 Make traveling to Topeka, KS easier when you stay at the Econo Lodge hotel. Located on Topeka Blvd, near I-470 and U.S. Highway 75, our hotel is an easy stop on the road with easy access to all that this region has to offer including Washburn University and the Kansas Capitol building. Here, we offer amenities like our free Easy Starts continental breakfast, free WiFi, access to copy and fax machines and an indoor heated pool. Then, unwind in your guest room, which features a refrigerator, microwave, hair dryer, coffee maker, iron and ironing board. Also, earn rewards including free nights and gift cards with our Choice Privileges Rewards program. All Comfort Suites are smoke free. Pet accommodation: 8.00 per night per pet. Pet limit: 2 pets per room. Refundable pet deposit of 50.00 required at check-in.